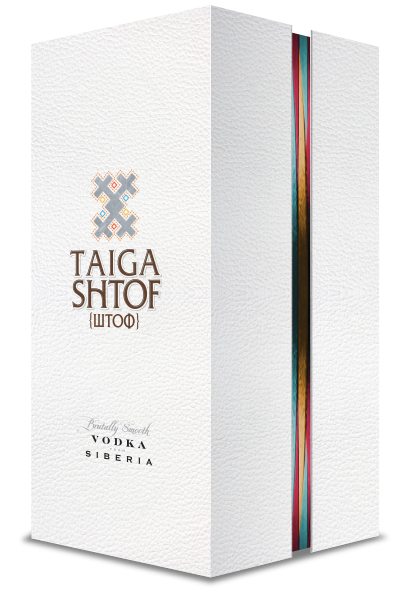 The name TAIGA SHTOF refers to the region the vodka originates from and the traditional bottle that Russian used to drink their vodka from: THE SHTOF. 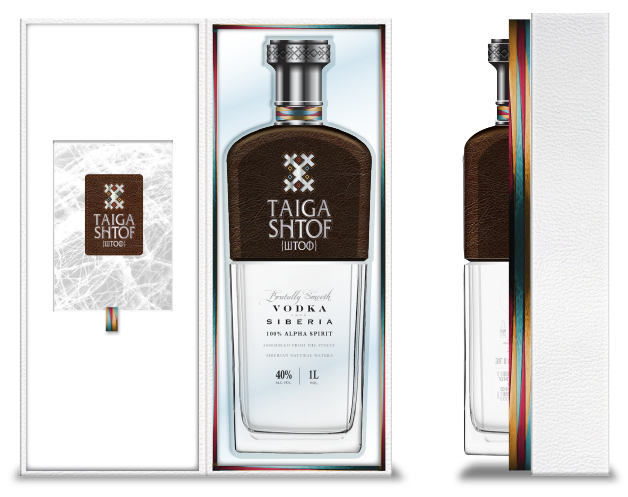 The shtof bottle bears a wealth of history and heritage as it has been the traditional way to serve vodka since its conception. 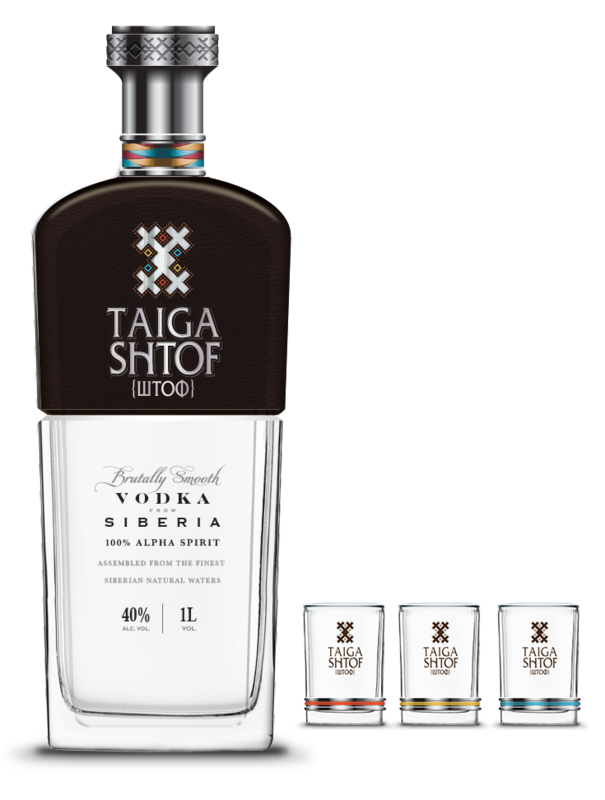 It was a carefully measured unit at exactly one tenth of a vodka bucket or 1.23 L.
The name brings together the 4 elements of our DNA. 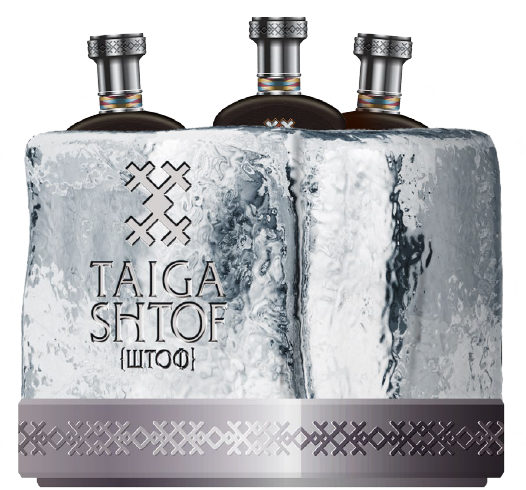 TAIGA SHTOF is made from ingredients deep within the Siberian landscape of steep valleys and snow Laden Forests. 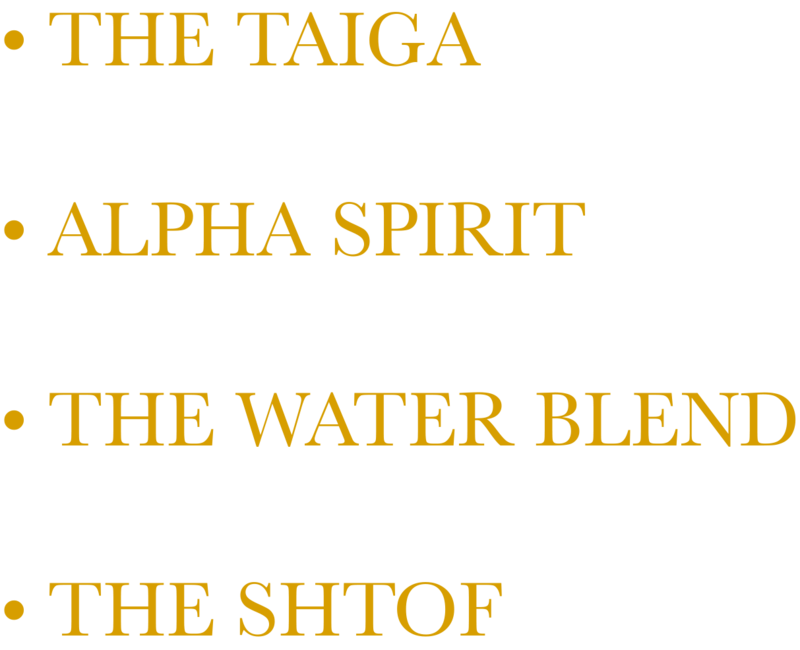 • Crystalline pristine waters sources around the region. 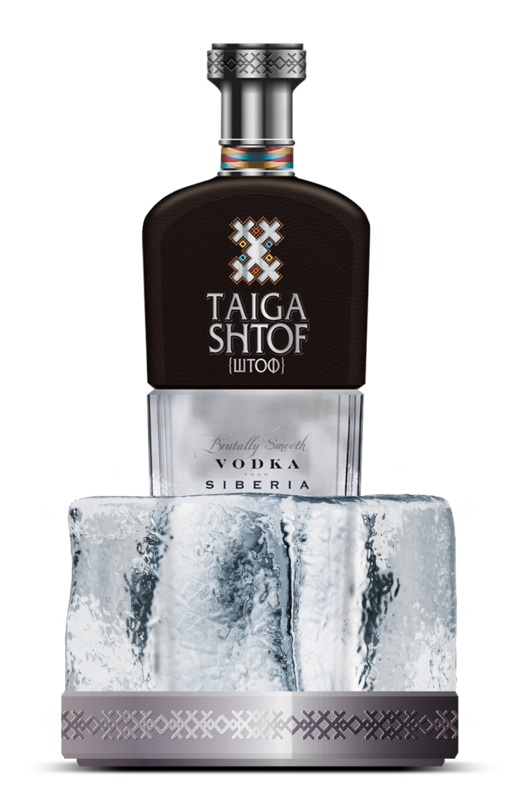 the harshest elements, much like the vodka itself. 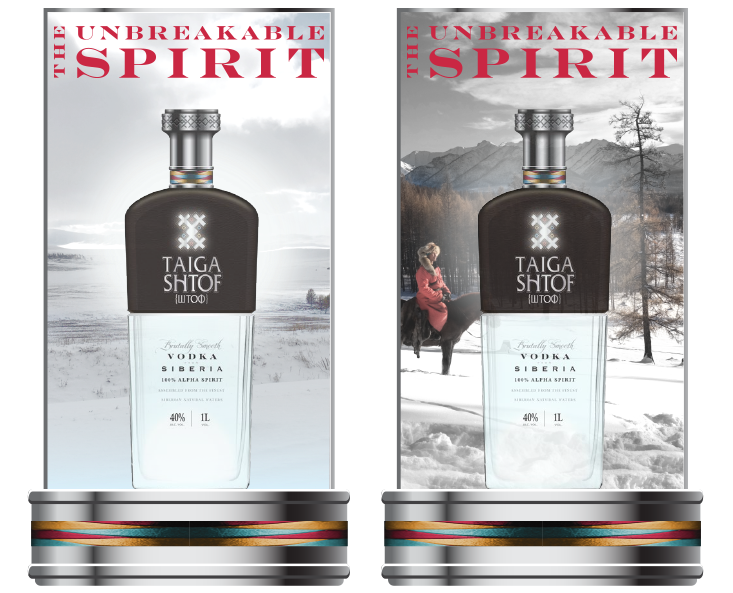 Our unique Taiga Shtof brand and packaging designs have been carefully crafted to capture our unbreakable spirit. 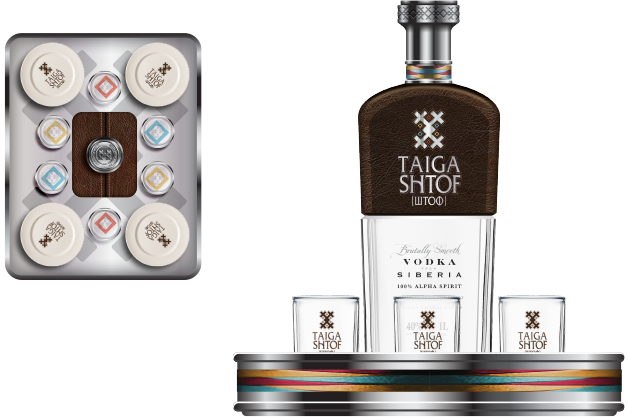 The Tribal Chest is inspired by the symbols and craftsmanship of Siberian tribes. 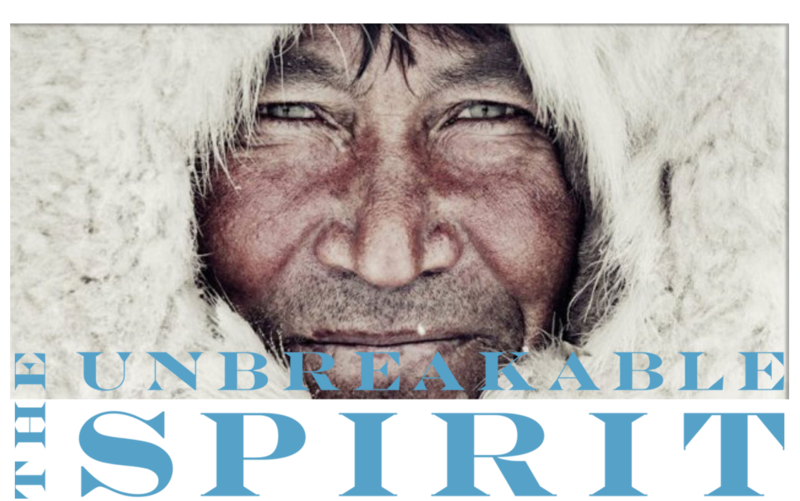 Our icon symbolises their sense of community and coming together to enjoy vodka despite living in one of the harshest climates on earth. 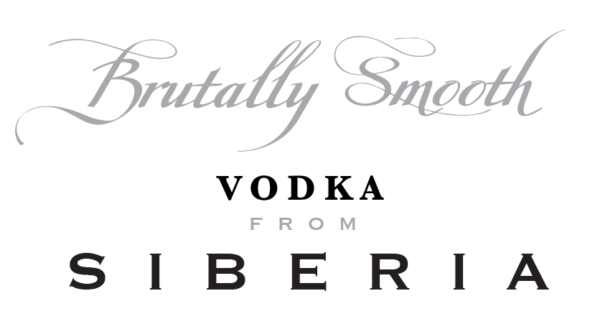 Our Wordmarque has been crafted to show that we are an authentic Siberian vodka and the Cyrillic wording (ШТОФ) underneath reinforces this. 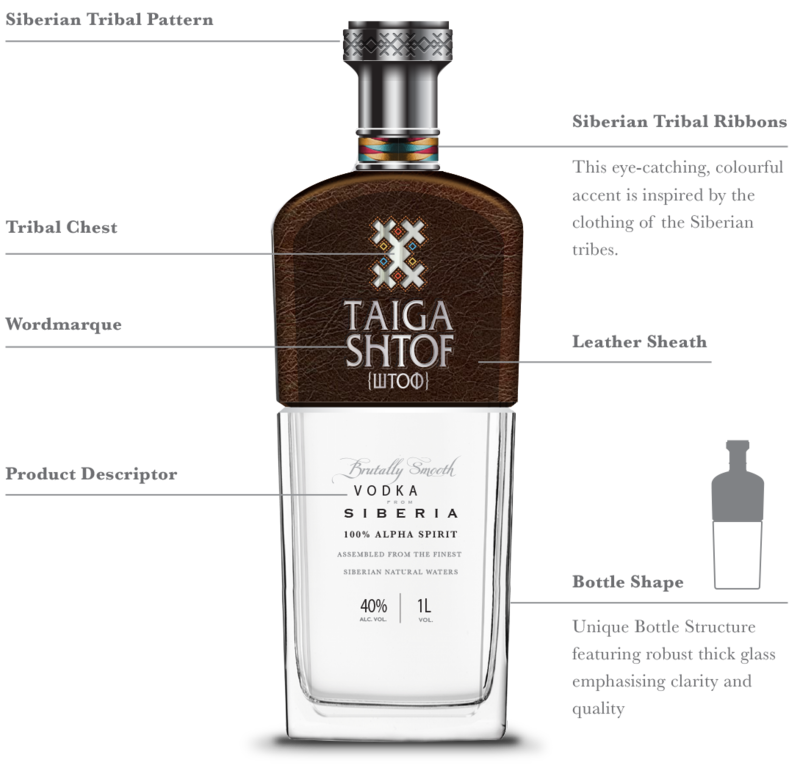 Our bottle is finished with a leather sheath which invokes the clothing traditionally worn by the tribes of Siberia providing warmth during the freezing winters, and alluding to the brutal climate that is our birthplace.